Into the business: the Commercial Director of Tiesse Spa tells how combining project and product has become a competitive advantage in Italy and abroad. Vittorio Moscatelli, Commercial Director of Tiesse, tells how combining design and product has become a competitive advantage both in Italy and abroad. Tiesse is a small jewel of Italian industry in Ivrea, in the heart of the Olivetti culture and at the foot of the Alpes, that designs and produces routers that provide connectivity to major Italian brands that distribute goods and services. 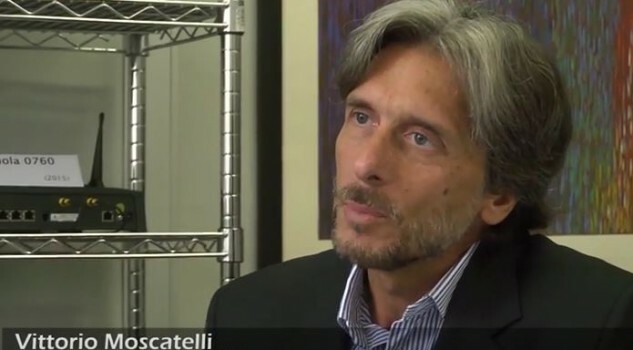 Moscatelli: ”Our main customers are companies, the corporate market therefore. We currently have an installed base of around 400,000 units in the main Italian corporate networks and the sectors in which we operate include retail, industry, services, public utilities and public administration. Moscatelli: ”Probably from this point of view there is still much to be done, in the sense that we appreciate very much the efforts that the country's economic system and its representatives are making to promote the Made in Italy image and brand, the results are there for all to see, probably in recent times Italy has actually started to regain ground and I think that with it also everything that is Italian.